It’s not quite January yet, but with the loot we got for Christmas-it’s time to reconsider how I have our home organized. We have several different areas for our boys throughout our house. We very much want our home to be welcoming and not completely overrun with toys. We try. To make these areas attractive to the kiddos, but blend into out home. I will post a home tour this week of our different areas for the kids. For today, here are a few first steps to our organization. I am addicted to Melissa & Doug toys. I’m an educator at heart and love the learning aspect of these toys. 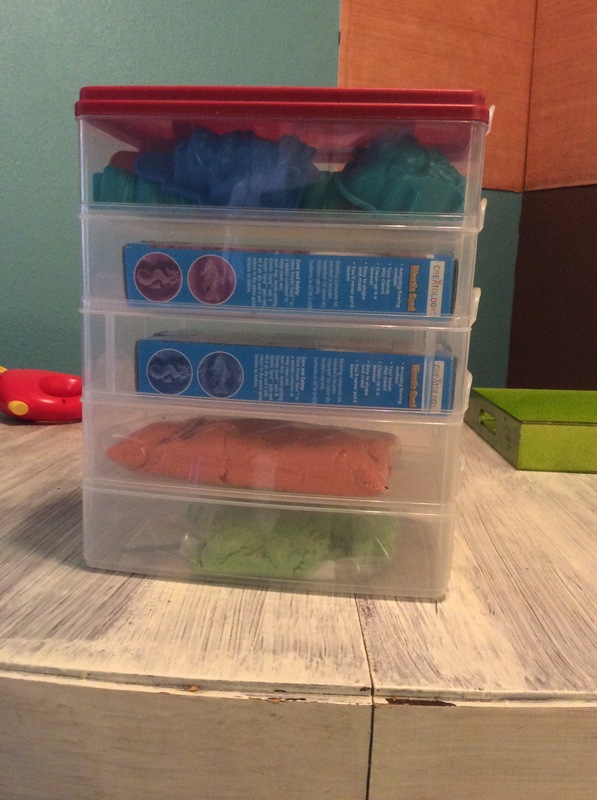 I also love that I can integrate playful elements like these toys into our homeschool. Another bonus, their first is quiet activities for their bedrooms. The only drawback of M&D toys is that they come packaged in wooden boxes without lids. That makes them clumsy to stack & easy to lose parts. These IRIS scrapbook cases go on sale at Michaels frequently. 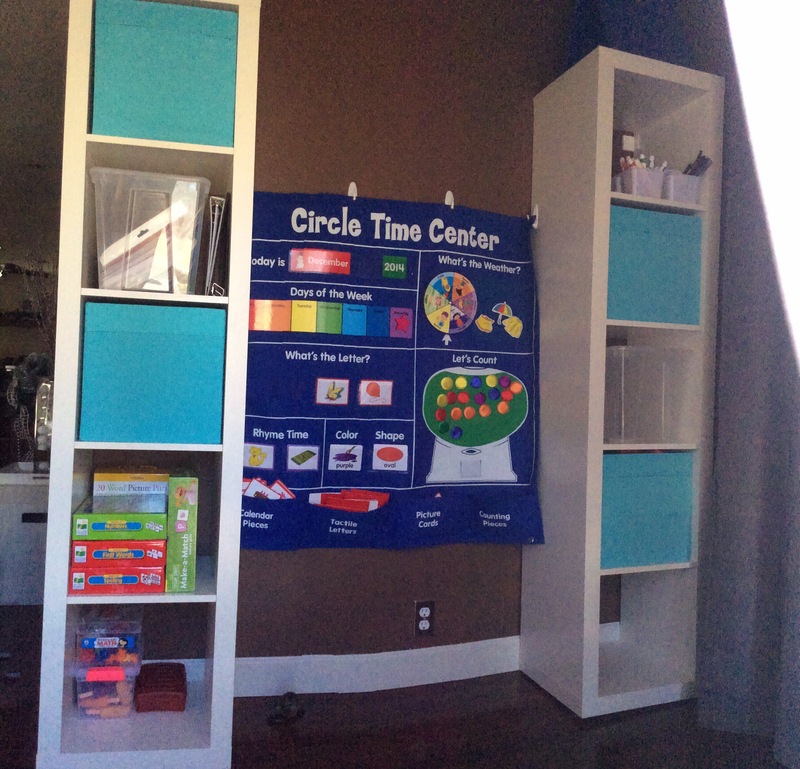 This is just one small area of our playroom. We are keeping it simple and adding a few elements of change over a few days so I can train them in keeping it picked up. 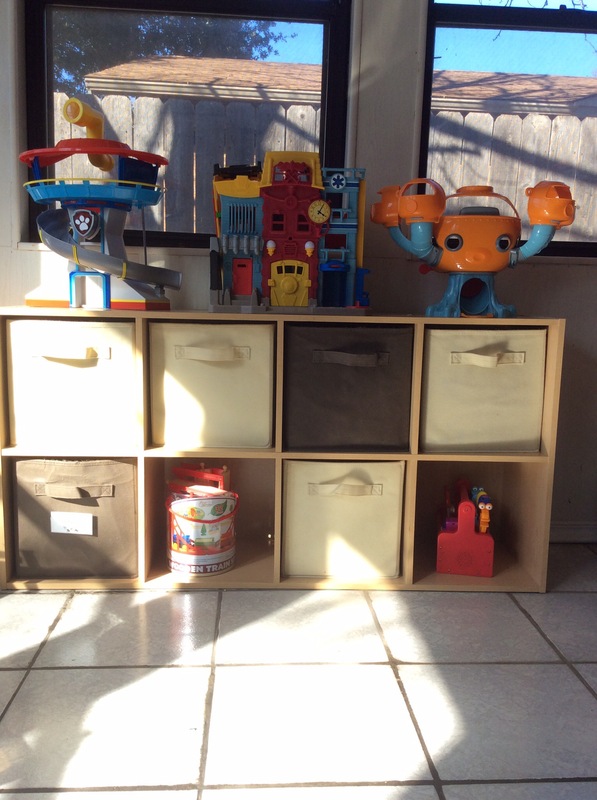 This cubby stores our big play sets with their accessories in gladware in the bins under eat each set. There is a Paw Patrol look out tower with the dogs & their transportation in the bin underneath. An Imaginext Rescue City with its TONS of accessories in a gladware and 3 vehicles in the bin under it. There is an Octopod and all of its accessories in a bin underneath. We will be adding to the other cubbies soon. For now, this keeps them busy cleaning up and putting away after dinner. 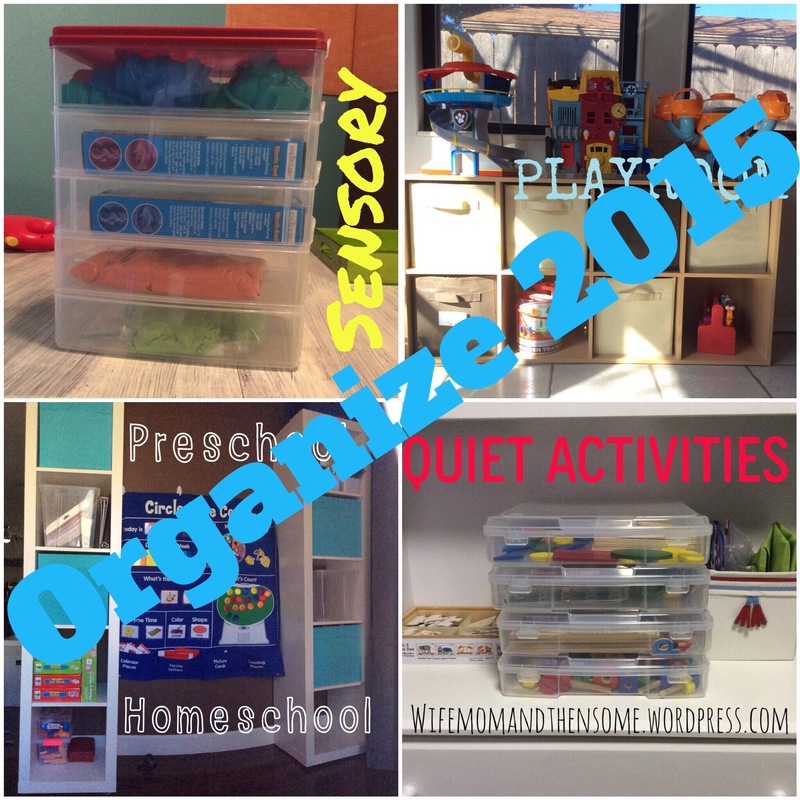 We have a LOT of sensory materials. This is our newest. Kinetic sand! It’s incredible. We got several different colors and definitely want to keep them separate. The top part has some little molds we were given with the sand. I also pull out the cookies cutters and play dough accessories. And lastly and most importantly, our homeschool area!!! The shelves are from ikea and are attached to the wall. The bins are from ikea. The center is from Lakeshore Learning. This is the hub where all of our literacy and math is stored. 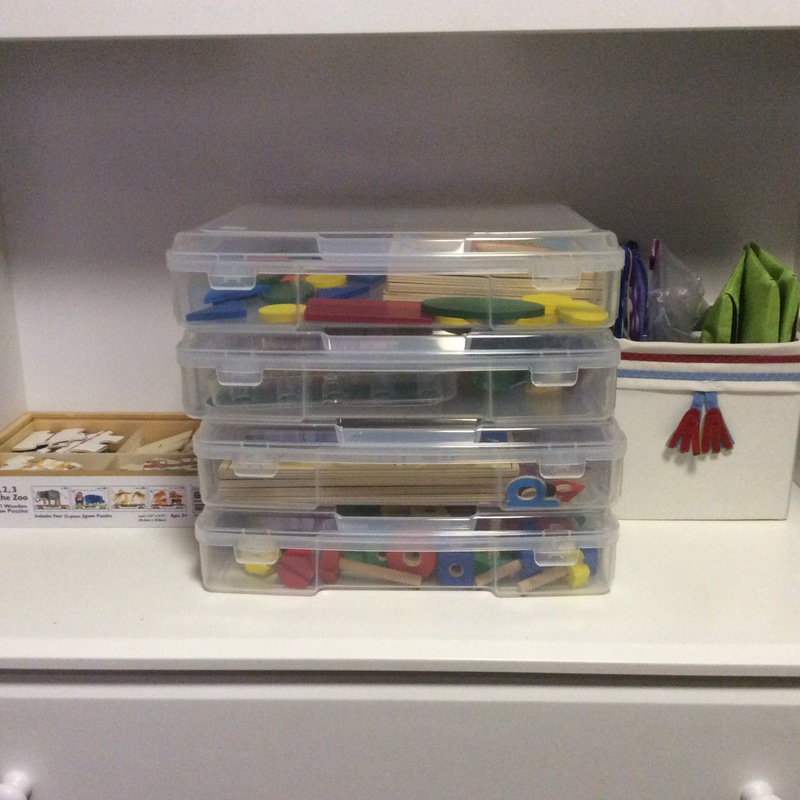 Alpha pops, matching, games, all craft supplies, and curriculum. I hope you enjoyed this! Leave a comment if you were inspired. I’ll be posting more of our home as well as areas where some of this is stored. We’re joining our boys’ bedrooms this January, so everything in their rooms is getting a shift!